Let’s say you just finished the world’s most helpful self-help book ever to be written. It’s smart; it’s funny; it will connect with every single reader, and it’s backed by the best of neuroscience. Eagerly, you send it off to the publisher, and ten weeks later, get your first hard copy. Readers aren’t knocking down your door demanding to praise you in person, and when you go to the bookstore, even when you’re standing right next to your magical book, no one asks you for an autograph. What’s up? Even if you’ve got the greatest coaching, best-written book, or most outstanding speaking ability, your clients won’t be buying unless you’ve also got some amazing persuasive skills and use those skills to show your reader that what you’re selling is worth “it” to them. What is the “it”? What makes a purchase valuable to a client is different for every single client. It could be that the purchase needs to be worth the money they spend, or the time it takes to consume the content, or the emotional energy to connect with what you’re saying. Without fail, every client has to know that the time, energy, and money they will spend on your products give back to them in either equal or greater value. So often, it’s easy to focus on the quality of what you’re producing without acknowledging your clients’ needs, wants, fears, desires, and regrets. After all, when you spend years studying the field, consulting with experts, and practicing what you’re preaching, you’re probably extremely confident in the resulting product that you offer to others. It’s easy to lose sight of the fact that your customers will approach your product at a different point in their journey than you are currently. 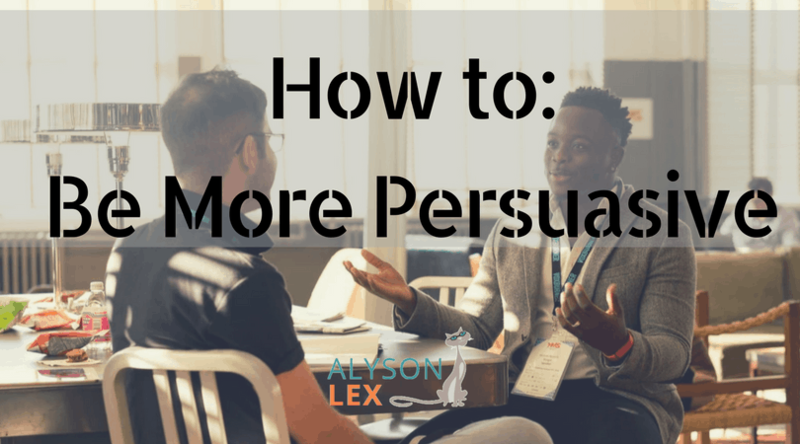 In order to get your products into the hands of those who need it most, you have to hone your persuasion skills to get them to opt-in to the purchase. 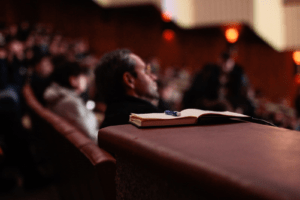 With so many people selling, you have to have some serious skills to reach your audience and convert them from skeptical consumers to ardent followers. Luckily, you can become more persuasive with practice, even if you hate “selling” more than anyone else on the planet. Here are three ways to get started. People always buy emotionally. Study after study has confirmed this. If you search online for neuromarketing, consumer neuroscience, or decision science, you’ll find mountains of information about using emotions and psychology to influence purchasing decisions. The information ends in this: first, consumers feel an emotion connected to a product, and then they use logic to justify their purchases. These are just a few of the emotions you can evoke in your audience, though, to start the process that ends in their purchase. Literally hundreds of other emotions exist and could be just as useful in the marketing process. Know this: The STRONGEST emotion and driver of a purchase decision is GREED. Yes. Your customer wants more of a good thing. If you can tap into that, you’re starting off right. While you could consider connection a sub-set of emotional persuasion, it also can be its own category. Your audience is more likely to buy from you if they feel that you are like them, or that they are like you. Establishing a connection between you and your audience is key to leading them along the buyer’s journey. They feel that they are like you. They feel that you are like them. They see you as an authority in their field. They see you as a “future version” of themselves. You “remind them” of someone else in their life. In each of these cases, establishing connection helps your audience to justify a decision to believe you. After all, if you are similar people, or if you are an authority in their field or a similar field, it’s reasonable that you’re telling the truth. There are multiple ways to create that belief in you, and I’ll go over this in another post later. Tell stories. Stories stick in minds far better than statistics, and show your audience (rather than tell them) that what you are saying is true and accurate. Stories illustrate your points without your having to go over every mundane detail. Plus, they help to reinforce the emotional piece of decision making. Try power words. According to Hubspot (and many others) there are certain words that are nearly guaranteed to sell a product for you. Some of these words are “we,” “free,” “because,” and “opportunity.” The funny thing is, even though these words are already used often in marketing, they still work when they’re used correctly, because they have such an emotional punch to them. All of these are ways to become more persuasive, but the only certain way to improve your persuasive techniques is to practice. Constantly. Use power words with your partner; tell stories to your coworkers when explaining a point. Practice trying to change someone’s mind or introduce a new opinion. By using these techniques and the ones you’ll discover in your time practicing, you’ll find the right combination of skills to persuade anyone, in your own unique way.